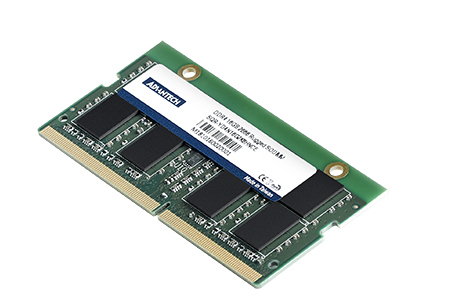 February, 2019, Taipei –Advantech (2395.TW), a leading global flash storage and memory solutions provider in the embedded market, announces the industry’s most comprehensive lineup of 32GB DDR4 unbuffered DIMM memory. 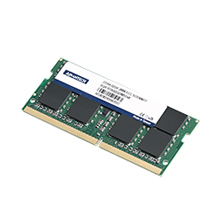 Advantech SQRAM offers single 32GB DRAM modules in various DIMM types including SODIMM, UDIMM, ECC DIMM, and extremely robust Rugged DIMM with guaranteed wide temperature operation for high performance computing in applications such as networking and military. As the global IoT market gradually embraces big data and edge computing, demand for high data and performance processing is increasing. 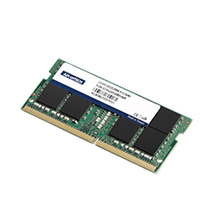 SQRAM 32GB unbuffered DIMM memory uses Samsung’s 16Gb 2666MT/s IC chips for high reliability requirements in mission critical applications. SQRAM 32GB wide temperature operation (-40~85 °C) Rugged DIMM offers extreme vibration resistance, plus ECC checking to ensure data accuracy. 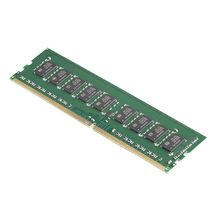 For high capacity 32GB memory, heat dissipation is the key to full speed operation, especially in harsh applications with extreme and fluctuating temperature environments. To avoid heat dissipation and problems impacting system operation, SQRAM adopts industrial-grade heatsinks on 32GB memory to reduce operating temperatures. Also, to further protect the overall system from overheating issues, Advantech offers a free SQRAM Manager software utility to monitor DRAM temperatures and to provide overheating alert notices when temperatures go over 65°C.